I'm blaming Tiffany for this purchase because she reminded me of the Eco Tools BOGO deal on brushes at Rite Aid. I already owned their retractable kabuki and eyeliner brush so I didn't need much convincing to try the rest of the line out. I bought the 6 piece brush set ($10.99) and for the 5 piece minerals set ($9.99) for free. I went back and forth about whether I should get the 5 piece minerals set or the 6 piece eye brush set ($7.99), but since the 5 piece minerals set is a better deal I can get the 6 piece eye brush set later. For $10.99 this is one of the best brush investments I've ever made. The 6 piece brush set has a lash/brow groomer, eyeliner brush (I could always use a backup), eye shading brush, concealer brush, and a blush brush (which I contemplated getting by itself anyways and it's worth $7.99 on its own anyways). The 5 piece minerals set has a baby kabuki (it's a little too floppy for my taste so that's why there's a black hair band wrapped around it to make it denser), mineral powder brush, an eye shading brush (it's got the same name as the one of the 6 piece set but it's more a blending brush like the MAC 222), and a concealer brush (which I can use for cream eyeshadows). There's basically every type of brush you need to start your own brush collection plus for the price they're cheap as hell. I also like the bag that came with the 6 piece brush set because it has slots for the 5 brushes with a pouch for the 4 mineral brushes. 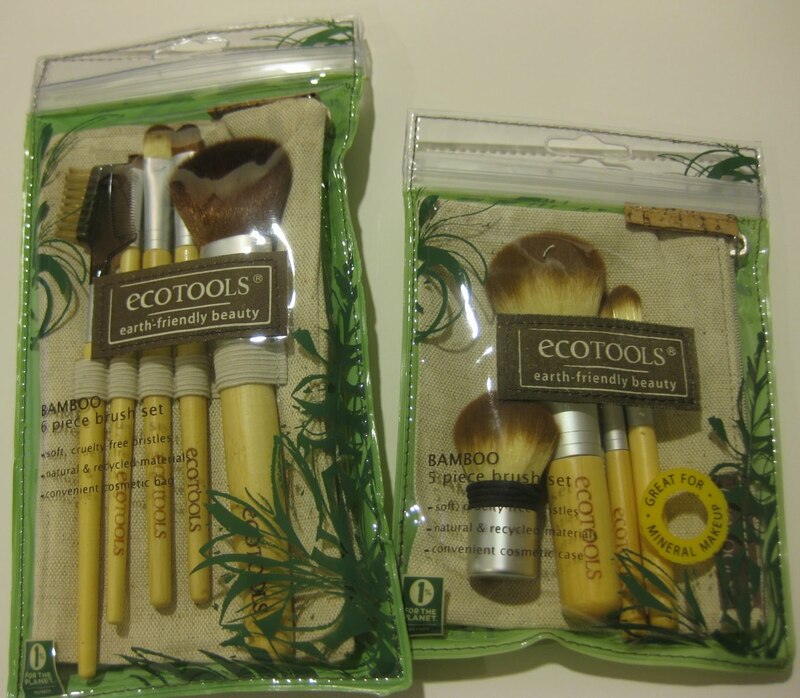 Have you tried out Eco Tools? Oh my goodness! I REALLY want to get these sets. I decided to opt to go to Ebay. The drugstores around where I live sell it for like $20 each - like how crazy is that? 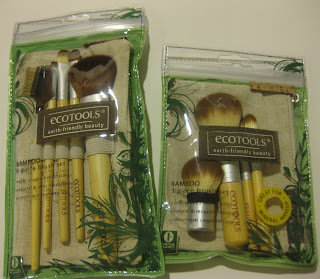 I haven't tried any Eco tools brushes. I want to have these brushes. I will check it out. Thanks for posting. Inglot Online Store is Live!